We provide professional, fully coded welding to BS EN 287-1 standard. Here at Fastec Engineering we can provide the complete fabrication & welding solution. We added a fabrication and welding workshop to our premises here at Fastec back in 2009. Since then we have kept coded welding at our premises, but work closely with a trusted partner for sheet fabrication. This allows both ourselves and our partner company to concentrate on our strengths, but still offer our customers added value and choice. By offering fabrication, welding and machining, we feel that we are suitably positioned to meet all business’s requirements. Over the years, we’ve secured some contracts with top suppliers, allowing us to provide a vast array of materials, along with water jet and laser cutting abilities. 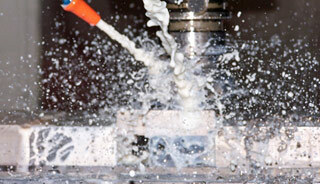 This means that whatever material that we are working with, we have the means to cut it accurately and efficiently. Fastec can offer fully coded welding to BS EN 287-1 standard, adhering to all the current legislation, performed in house at our UK workshop. If you come to us for welding we can provide welders’ certification and if needed we can also offer certified Dye pen testing and x-ray particle testing through a third party test house. If you’re looking for high quality fabrication and welding services which are compliant with British standards, look no further than Fastec. We have experience in producing parts both large and small, one-offs or large batches. Give us a call today to discuss your requirements on 01638 660186 or contact us online.